Dayton’s own Me & Mountains are not only a great live band that is part of an exploding local music scene but they are also rather savvy business guys. Normally the path to releasing music is wrought with many logistical challenges, delays, and processing problems. And while we are not talking the length of time that it took one William Bruce Bailey to release a record they titled ‘Chinese Democracy’, it can be a daunting task for bands to get music out to fans quickly and easily. Thankfully, there are newer and more direct models that musicians with some acumen — and social media skills — can use to do that one most sacred of tasks in all of musicdom: getting the music to the people! But of course, we can talk about a band or artist playing live that is one way to share music, and for me, that remains a critical part of the experience. So, while playing out continues to be as important today as it ever has been, we all want to continue to encourage groups like Me & Mountains, Motel Beds, The Rebel Set, Smug Brothers, Oh Condor, and so many other area musicians to play in the Gem City more often! Yet it is still important to those who have heard the music to share it with others! And we need CDs, tapes, record albums, and MP3s in order to share the sweet nectar of musical satisfaction. 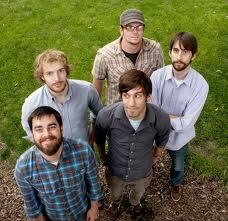 So, the gentlemen behind Me & Mountains are among those bands trailblazing new forms of fan-supported musical releases. And in the end, it is not dependent upon some distant and disconnected record label execs wondering whether a band or song is “the right sound”, it is the initiative of the bands themselves with the support of music lovers that should lead the way for new releases. And this model can lead to some great music ringing in the ears of fans sooner rather than later. Add to this the successful examples of several local groups, such as The Motel Beds and Smug Brothers using different forms of distribution and you have a recipe for musical happiness all around. So, what can you do? You, dear music fan, can visit the KickStarter page for Me & Mountains and support their effort to release their new album, Feral on vinyl. You can for an incredibly small effort, support great local music and stick it to the corporate model. 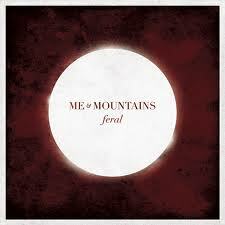 You can support great local music and get a copy of the Me & Mountains new album, Feral on vinyl. You can listen and enjoy fantastic music without paying huge sums of money to someone who does not even know where Dayton, Ohio is located; much less care about the quality or integrity of the music. ← Explore Dayton: Explosion of Local Music!